When a phone like OnePlus 6T is around the corner, awaiting its launch, there are bound to be a lot of rumours, leaks and speculations popping up across the internet. 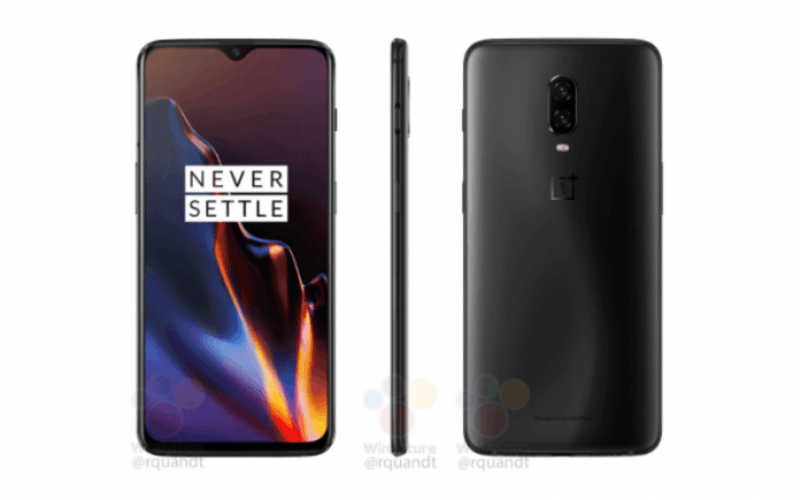 That is exactly what seems to have happened overnight for the renders of the OnePlus 6T. The Chinese smartphone manufacturer has been known to launch the upgraded versions of its phones towards the end of the year. This year’s offering by OnePlus is the OnePlus 6T which comes with significant improvements over the last OnePlus 6. The new phone notably features a dewdrop styled notch, and it also ditches on the headphone jack. Courtesy of this new leak, we get to see how the OnePlus 6T looks and what it has got in store to offer in terms of design. Unlike it rumoured earlier, the OnePlus 6T will have only dual camera setup on the rear side. A new leak has surfaced which shows the OnePlus 6T in its entirety and also reveals the colour options in which the OnePlus 6T is going to debut. To the joy of OnePlus fans, the company will be launching the phone in Midnight Black and Mirror Black variants. Notably, these are the same colours in which the OnePlus 6 had debuted. Given that buyers often pick between either matte black finish or polished black finish, OnePlus has done a pragmatic thing by offering a choice between the two options for its flagship phone. Further, the OnePlus 6T renders reveal the teardrop or dewdrop styled notch which is much smaller in size as compared to the notch seen on the OnePlus 6. The OnePlus 6T also does not come with a rear mounted or front facing fingerprint sensor, instead, it comes with an in-display fingerprint sensor, something which OnePlus has implemented on its phone for the first time. The phone has also grown in size compared to its predecessor which is mainly owing to the bigger battery on the OnePlus 6T. Another significant change is the absence of 3.5mm headphone jack in this phone. The OnePlus 6T will most likely feature a 6.4-inch display with a 19:9 aspect ratio screen and a resolution of 2340x1080p. In terms of hardware, the OnePlus 6T is expected to resemble the OnePlus 6 as it’s supposed to come with the Snapdragon 845 SoC with two RAM and memory variants. The expected options of the OnePlus 6T include the 6GB/128GB one and the other is expected to be the 8GB/128GB internal storage one. The battery on the OnePlus 6T has also been upgraded to 3700mAh which will be promising better battery life. Also, on the software front, the OnePlus 6T is expected to boot Android 9 Pie out of the box. Which Smartphone to Choose Between the Asus Zenfone Max Pro M1 and Xiaomi Redmi 6 Pro? 1- Sound loud but Quality bad even Stereo Mod Enabled using Magisk mode.